Over the past several years I have been addicted to planning, but in all honesty, it can take time to find a system that works for each individual and I have tried a few different systems and found them still lacking somewhat. 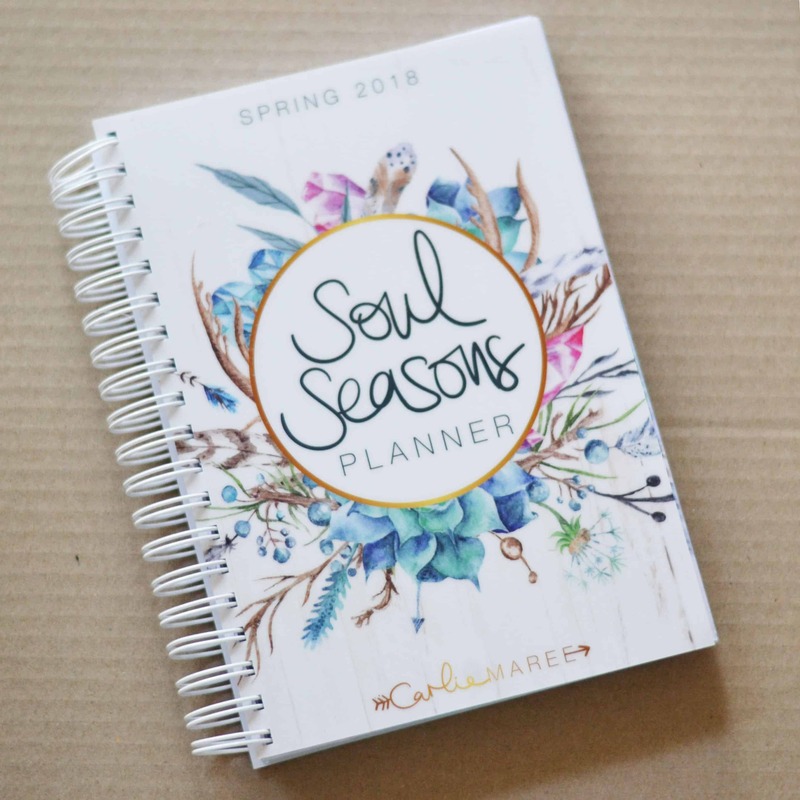 So when Carlie Maree gave me the chance to try out her brand new Soul Seasons planner, I was excited! 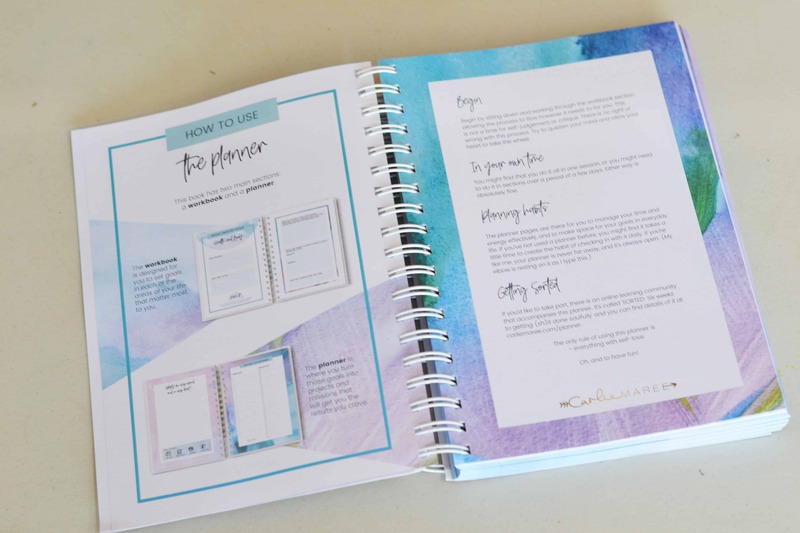 The Soul Seasons Planner for Spring 2018 is Carlie’s first planner release and each one covers a 3 month period – a season. This means you can really narrow your focus over the season and ensuring you are reviewing, resetting and tracking your goals more often than you might if you just had a traditional 12 month planning system that you used to track your goals. Plus you can get $5 off your Soul Seasons Summer planner. Make sure you grab your discount code at the bottom! The Soul Seasons Planner is 260 pages of stunning and colourful artwork, functional spaces and organisation at your fingertips! It is spiral bound with hard covers for easy flipping through of the pages and it looks simply amazing. First impressions and I was already in love with it! 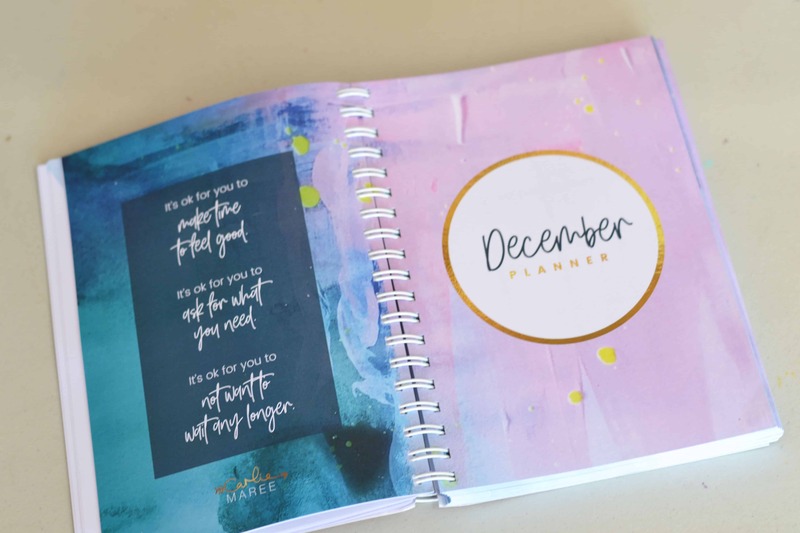 What really sets The Soul Seasons planner aside though is the fact that you get a whole lot more than just a planner when you open those pages. Towards the beginning you get to kick off with the workbook section which is there to help you get more out of your next 3 months and really define what you want in life. 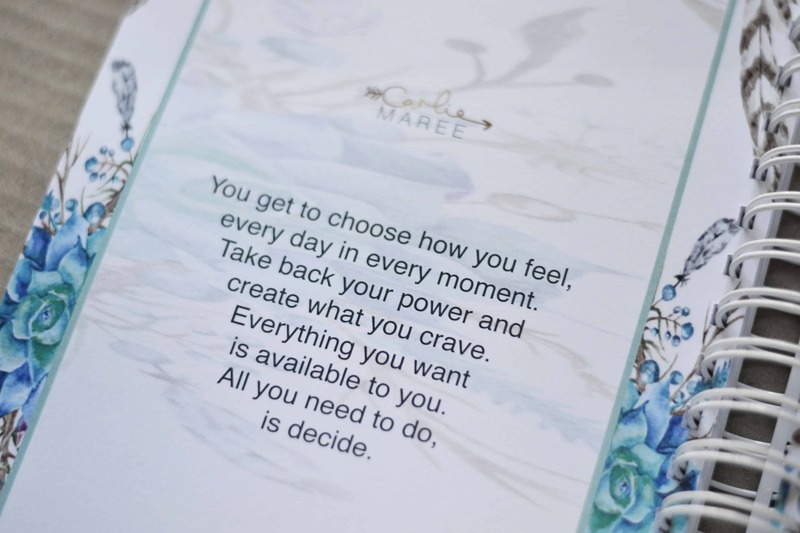 Carlie has identified four Soul Modes which each of us move through and there is a place to track which mode you’re feeling on each day so you can become more intune with your own patterns and cycles, plus know what you may be best focusing on with that particular day. I’m not an overly spiritual person, but I love this because I definitely relate to all 4 of these modes. 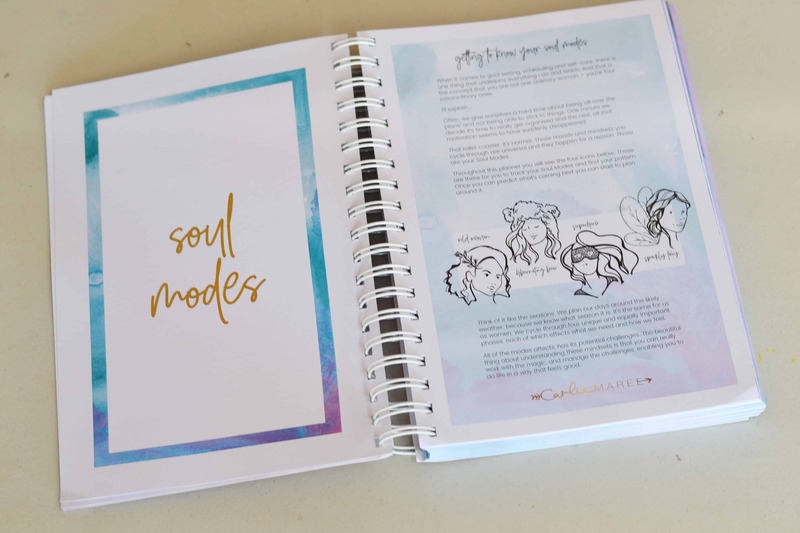 The Soul Modes also feature in Carlie’s online Soul Biz Sisterhood membership group, which you can learn more about on the website. 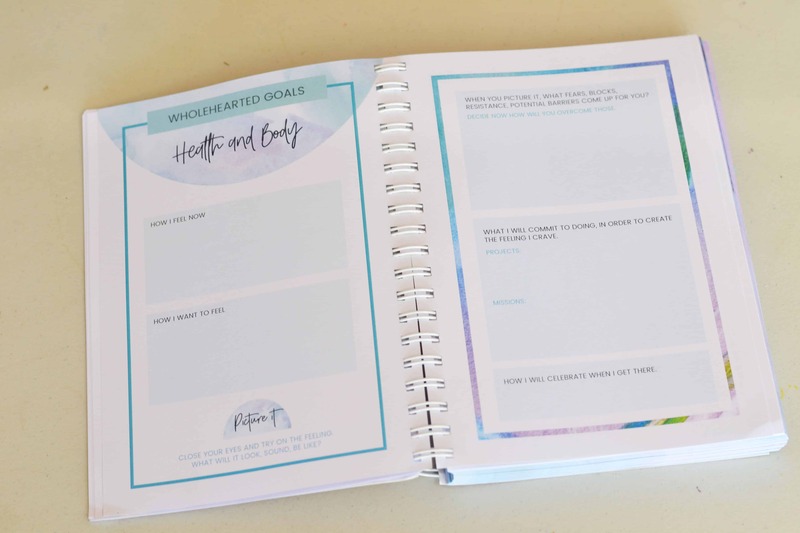 And then there’s the goal setting section – wholehearted goals. This is the meaty stuff that lets you consider every key area of your life and break down what you want, what’s in the way, how it feels and how you will make it happen. Far more effective than just the what you want and no actual direction to getting there. There are sections that I would never even normally consider mapping out, so I love how deep it allows you to get with where you want your life to go over the coming months. 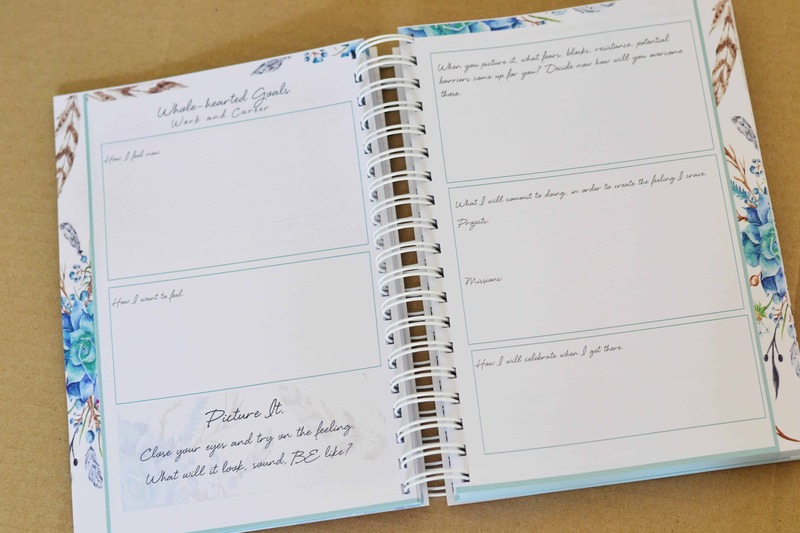 The planner section is so detailed and there is so much room to fit your busy life into it’s pages. For every month there is a quick view calendar to jot down your important dates like birthdays and events. There is also a theme and a huge space for writing your projects for the month. Not dot points but actual note pages. For each day there is 2 whole pages. The first is your daily to do list which you can tick off as you go, and a daily schedule with times in half hour intervals from 6AM to 10PM. I LOVE THIS! I’ve always struggled with the fact that planners either have the time based schedule or boxes. Never really much of both. The planner I have been using this year is an interval planner and has a few mini to do list areas and boxes for the week, but not for each day. This is so much better. I am a list person so having a daily to do list really helps me focus. And if you don’t tick something off one day, add it to your next! You also get a full page for doodling, journalling or whatever else. A blank page you can use any way you want. At the bottom of this page you can choose with Soul Mode you’re in for the day too. I recently started a journal in an attempt to get more focused and define my goals so this brings both of those together in such a perfect way! For each week there is a weekly view double page spread too with boxes for each day, a weekly focus and the weekly mission… more chances to define your goals. The whole planner has a beautiful floral design across the cover and throughout, on title pages and along the borders. It is a really beautiful planner! It is also made using gorgeous thick pages so you don’t have to worry about your pens bleeding through or indentation. The day to day planner pages carry the cover artwork throughout and being a 3 month planner you can pack a lot more into it than the slimlined annual planners. 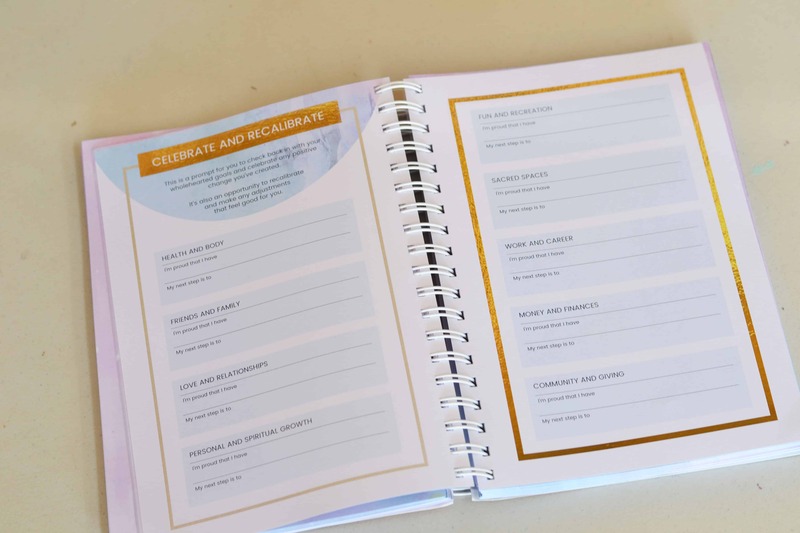 The hard cover and spiral bound design help keep it protected and also easy to move between pages and sections so you can revisit your goals or plan ahead. 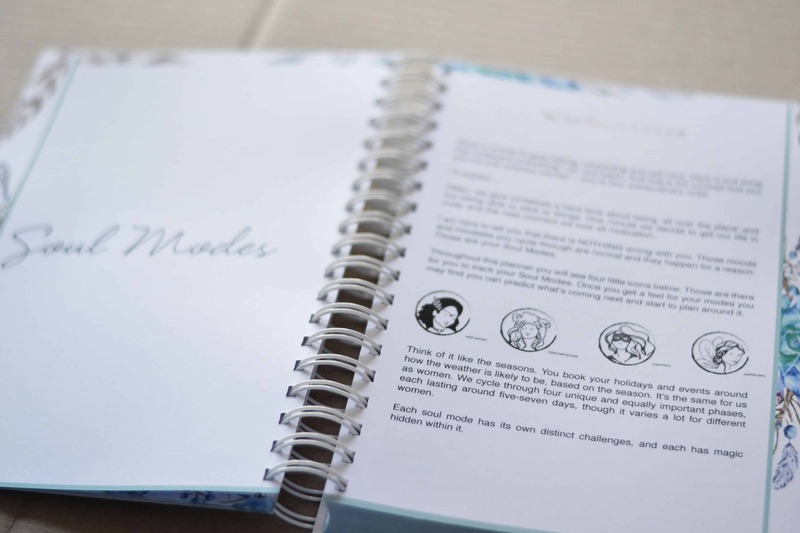 What inspired you to create the Soul Seasons Planner? I just knew it was needed. I’d always used planners and kept trying different ones, but I’d never found one that was perfect. Being a mum and running a business I needed a planner that had an element of structure but also gave me space to freestyle a little. 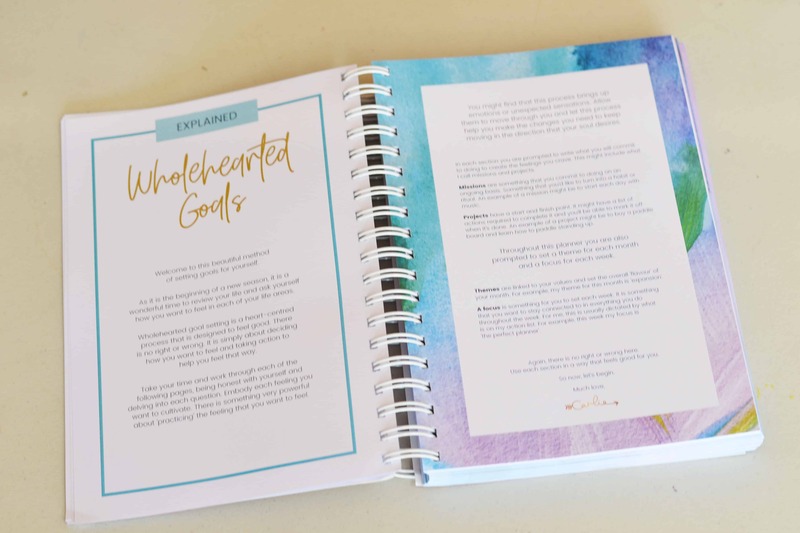 I’d always done my goal setting at the beginning of each season and it made so much sense to have it as part of my planner, as it goes everywhere with me and allows me to stay fully connected to my goals every day. What is the benefit of seasonal planning compared to yearly planning? So much changes in a year, I love being able to keep things fresh! As each planner is only for a season, I can fit SO much more into it. A page for each goal, a spread for each day, monthly and weekly check ins, there is so much great stuff in there. I always got so frustrated that by midyear I’m carrying around half a planner that I just don’t need to be. I love that new-planner feeling so much that once a year just wasn’t enough! Tell us your favourite feature from the planner. That feels a bit like trying to choose a favourite child! Hmm… I’d probably say the daily notes page that says, ‘What’s on my mind and in my heart’. It’s been really popular as it’s gotten people scribbling things down and capturing some really great thoughts and ideas that are easy to go back and find. Other than that, it’s just the simplicity of it. Each day has a list and a schedule alongside it, which makes it very easy to plot out your day so that everything gets done. What are you best organisation tips for busy mums? Definitely using a daily planner. Even if you’ve tried them before and not used them, try again until you find one that works for you. Go on a mission to find your soulmate planner! Then I would say to drop the ‘busy’ mentality. I think sometimes we wear our busy-ness like a badge of honour. We tell ourselves the story that we don’t have time to do anything for ourselves. As long as we tell ourselves that, it will be the case. I run a thriving business around two pre-school age kids and I have found that managing my energy and my headspace is even more important than managing my time. My planner helps me do all three. 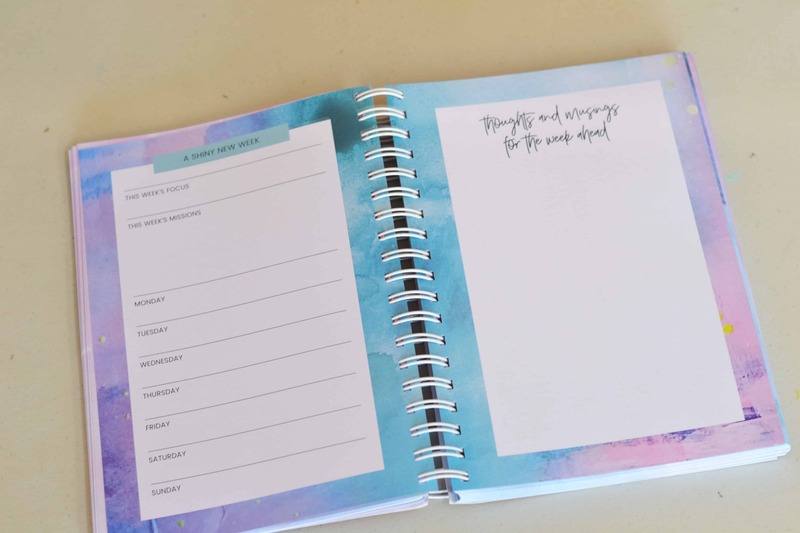 I don’t know about you but I love to check out planner pages before I buy one, so I hope this look inside along with my video further up help you to see how beautiful this planner is and to see why it is by far the best daily planner, with the 3 month planner focus. What do you think? 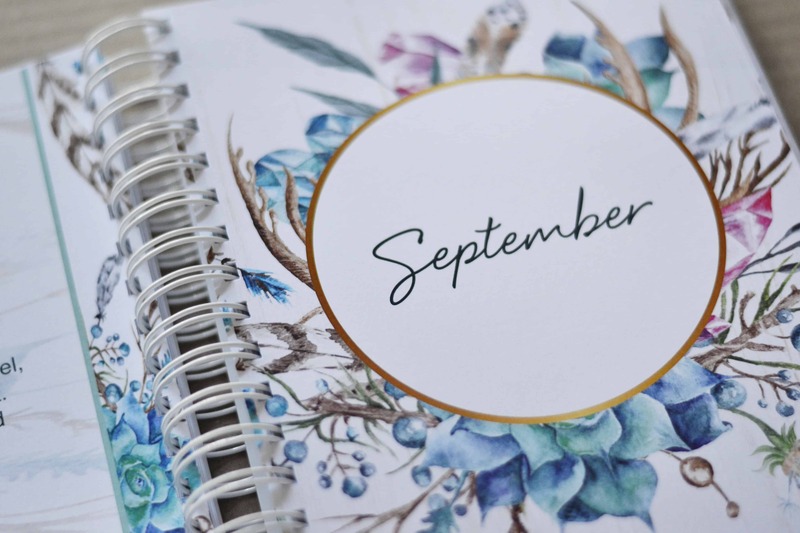 There is also the 3 month at a glance calendar and beyond at the end so you can jot down what you have scheduled for the coming season, and transfer the dates across as soon as you get your next planner. This definitely helps with getting organised for the new year! I love it! 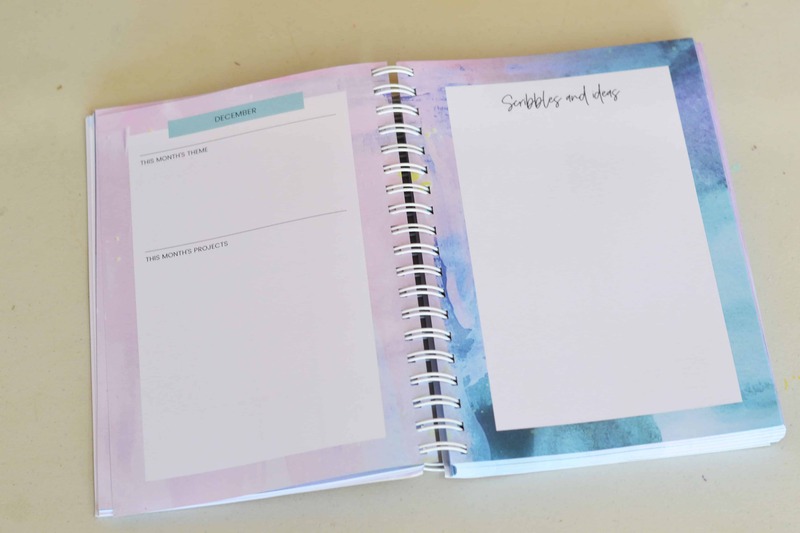 A planner with a to do list, an hourly planner and room for journaling too! Pretty much this planner is all the best parts of other planners put into one convenient package! A cool thing about how it is set out is that you can easily see what time you have free and actually plan out your free time with your to do list items. What a great way to stay productive! This is definitely something I need to make better use of my time. I am the queen of procrastination! 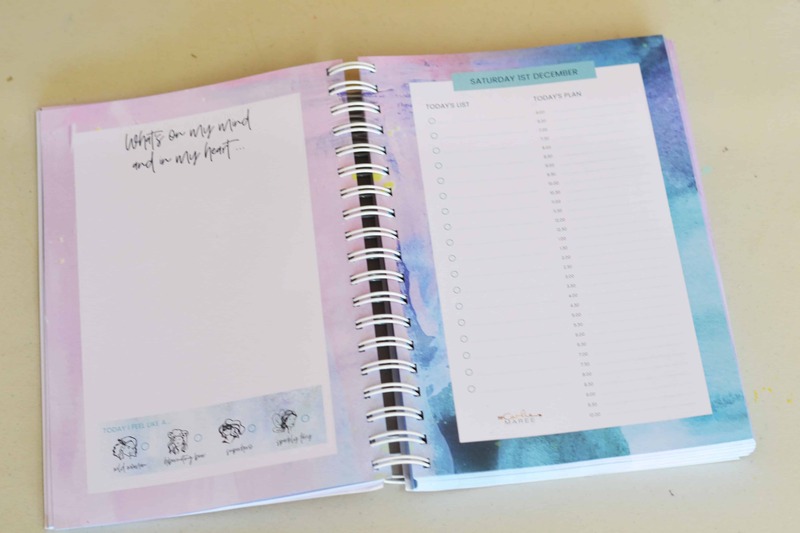 And this planner is not just for someone in business, but aimed at the everyday person who wants to feel more organised and focused in every part of their life. Mums, students, entrepreneurs, creatives… everyone! It’s pretty much a planner addicts delight! The three month calendar planning system means you have a better success rate with your goals being more immediate too, which I LOVE! And the day to day planner means no excuses to forget a thing! 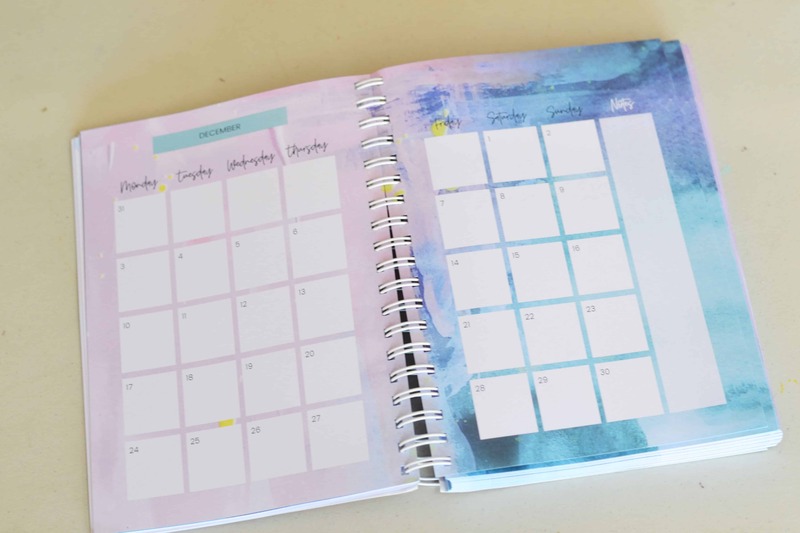 I have shared my tips on getting started with planning and the fact that it can take time to find a planner system that is perfect for you. If you haven’t found your perfect match yet, the Soul Seasons planner may become your new best friend. I can’t wait to see the next edition! We all love a discount! 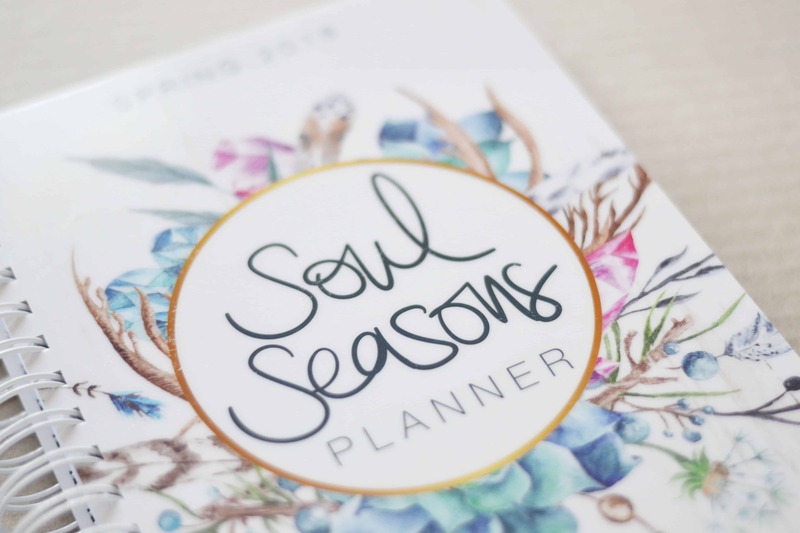 So if you want to get a Soul Season’s planner in your life, I’ve got the hook up for you!! 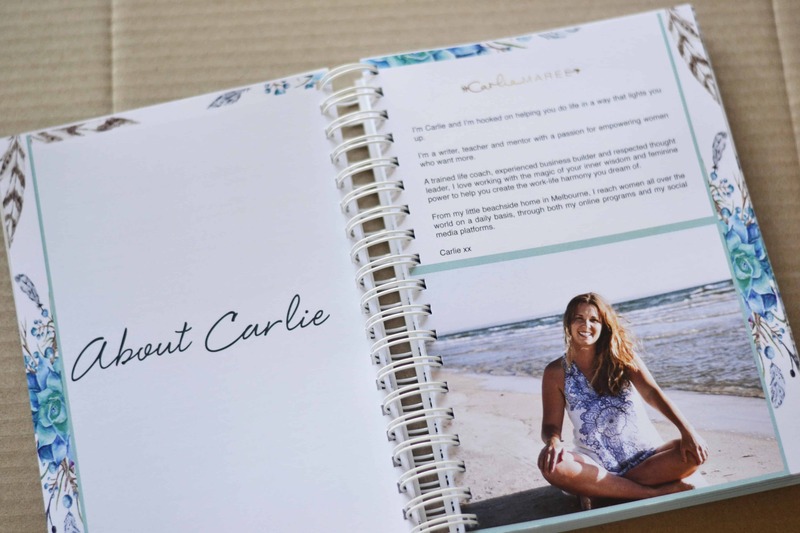 Orders are open now for the next edition of the Soul Seasons planner from Carlie’s website. And as a blog reader, you get $5 off!! Just use discount code “holly” when you check out for your discount Soul Seasons Planner! If you are just starting out with planning or are looking to start getting more organised with your day to day life, start here. Planning is one of those things that will make a huge difference to your life and staying on top of everything that you have going on, but not every planner is a great fit for everyone so make sure you work out which style is for you and have a bit of an experiment along the way. It has taken me up until now to find the perfect planner for me! I love the idea of a seasonal planner. 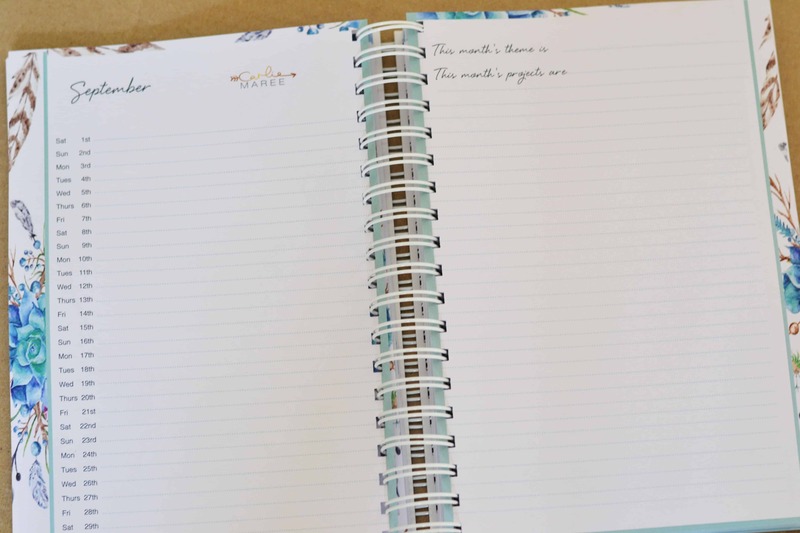 I love the feeling I get when I start a new planner at the beginning of the year – all fresh and full of potential. So why not make that happen more often!! Thank you for sharing such a lovely organiser.